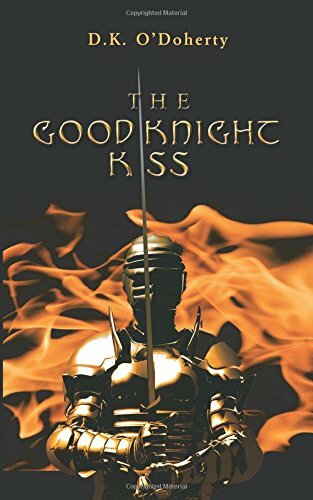 Daniel, a knight of the church, is finally living the life he has always dreamed and is married to the woman he has loved forever. Together, they live in a cottage in Lough Inch, the village where they both grew up. Daniel receives a summons from the church to go on a mission. Upon arrival at the port in Galway, he discovers that the mission is false, and he has been duped. The mission was just a ploy to get him as far away from his village while unknown forces destroy his life. Daniel rushes back to find his home has been destroyed, his wife is missing, and he is being pursued by unknown assailants. Each time he gets close to piecing together this puzzle, an obstacle appears. He believes the church has betrayed him, the same church to which he has been loyal and faithful his entire life, the church that saved him and made him into the knight he is. He believes many of the townspeople are under the influence of the church and cannot be trusted. Daniel quickly learns that he must be careful about whom he brings into his trust circle. He can trust only his two companions: Macha, his warhorse, and Balor, his dog. Both horse and dog have an undying loyalty toward Daniel as he saved both of them from terrible fates. As Daniel gets closer to the truth, he learns he must choose between his love and his faith.